PowerAll, a trademark of the American owned Gryphon Mobile Electronics LLC, produces one of the leading lithium battery jump starter products on the market today. PowerAll’s parent company Gryphon Mobile Electronics was established in 2005. In the nine years leading up to the registration of the PowerAll trademark on the 22nd of July 2014, Gryphon Mobile Electronics introduced top of the range brand names including Vission mobile and AutoGuard vehicle security to the mobile electronics market. PowerAll’s business operation has spread out of California, with offices in Canada, China and Australia. They now sell their products in over 20 countries through a range of automotive dealers, battery specialists and leading retailers. Sales of the product have recently expanded to Amazon, the only certified online retailer of PowerAll. Based out of Los Angeles, California, PowerAll designs and manufactures automotive and lithium battery products that meet the quality control standards of both ISO 9001 and ISO/TS 16949. Such accreditation gives PowerAll the foundation that is needed to provide improved customer satisfaction and continual improvement. In conjunction with the ISO certificates held by PowerAll, all of their products are FCC, CE and RoHS certified, establishing a globally recognized standard of safety and reliability. PowerAll warn that all other dealers may be selling counterfeit or damaged goods and that you should only use the certified Amazon retailer. 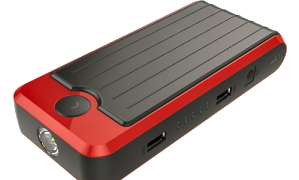 Gryphon Powerall produce one product – The PowerAll, there is no range (unlike Brightech). With Gryphon’s only jump starter product placing first in out Top 3 Lithium Ion jump starters, it is undoubtedly one of the most versatile and reliable products on the market. Read our PowerAll Review, or check current best deals on the PowerAll here.